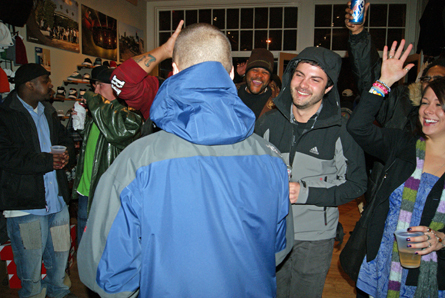 It was all about art, hip-hop and skating at Lancaster-based Revival Skate Shoppe on Nov. 5. 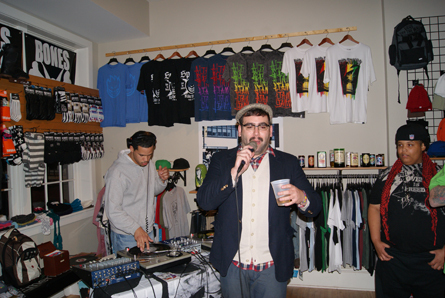 The talented rapper/producer Stainless Steele held a release party in collaboration with Studio K’s First Friday event. 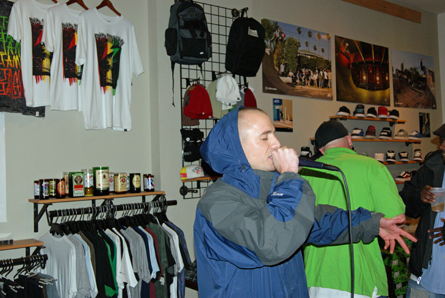 Steele, né Brian Steele, dropped his Dub Hop Illuminations CD, a project that he wrote and produced. His music is a mishmash of hip-hop, psychedelic and electronica. 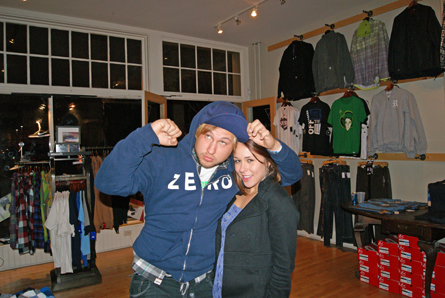 The equally gifted graphic designer Andy Musser (the proprietor of Studio K) sold his photography and Studio K T-shirts. Aside from witnessing Steele and Musser’s work, attendants enjoyed bangers spun by DJs Bruce Geetz and Inclinator. Did I mention the event included free brewski? Steele's fans cheer after his performance. Photo by Leon Laing. 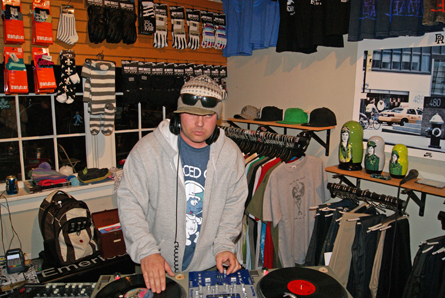 DJ Inclinator spins gems. Photo by Leon Laing. Others perform during the event. Photo by Leon Laing. Attendants pose for vigoronline.com. Photo by Leon Laing.